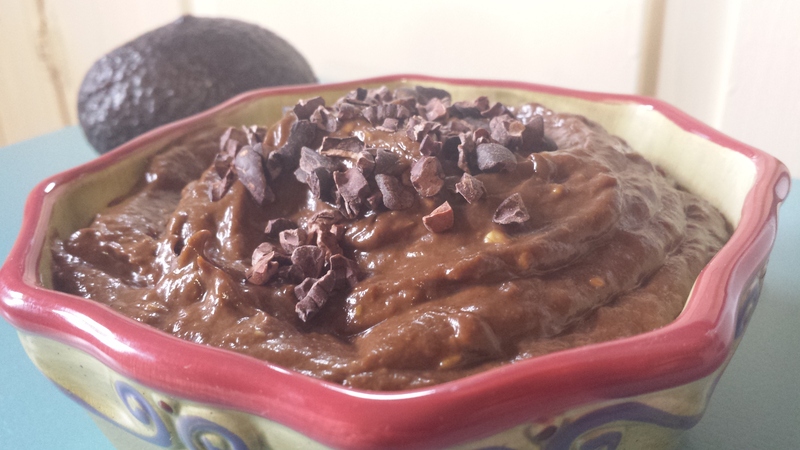 Mash avocado and banana in a small mixing bowl. Next combine all other ingredients and mix by hand or in a small food processor until well blended. Garnish with cocoa nibs or coconut. Enjoy!